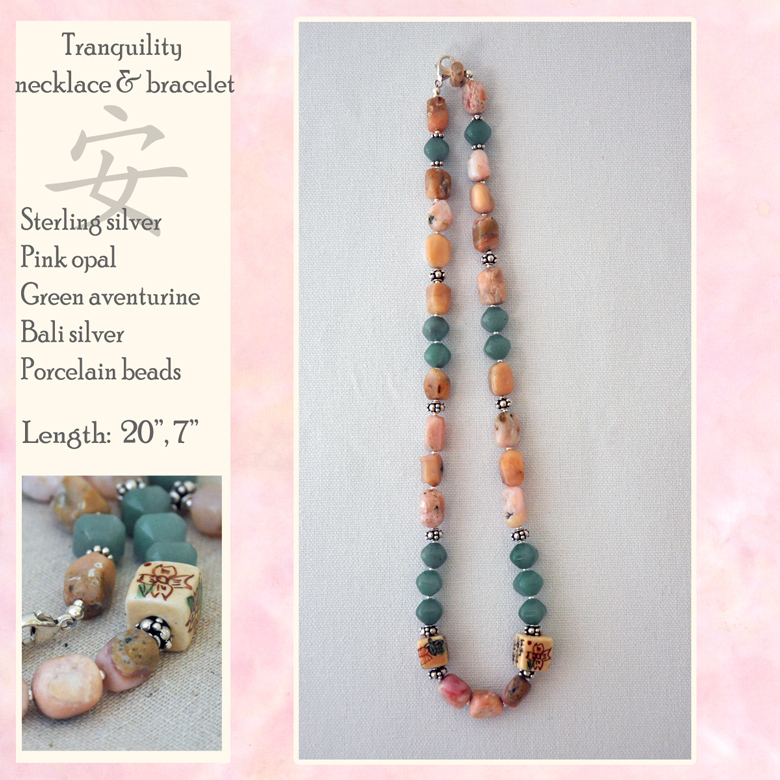 Balance is found between complementary colors of pink opal and green aventurine in this necklace and bracelet set. 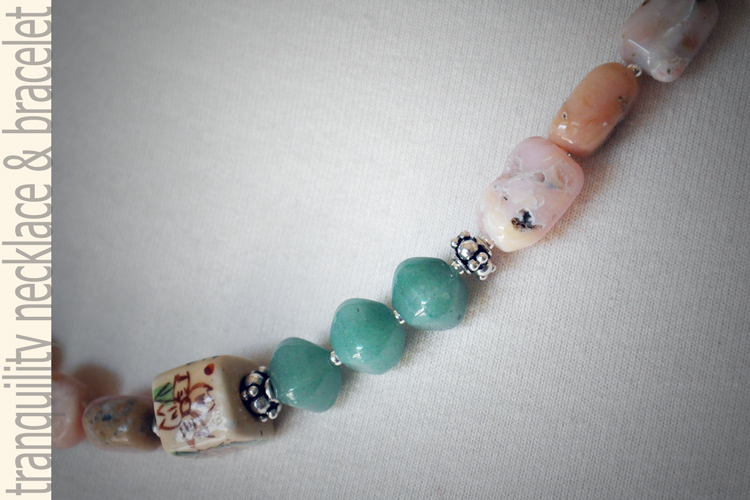 Porcelain beads with Chinese characters add nice detail and interest. Both items use sterling silver lobster claw clasps, and they can be attached together to extend a necklace length from 20" to 27", as shown in an image. Pink opal is a kind of potch opal that can be translucent though not show the "play of color" of precious opal. 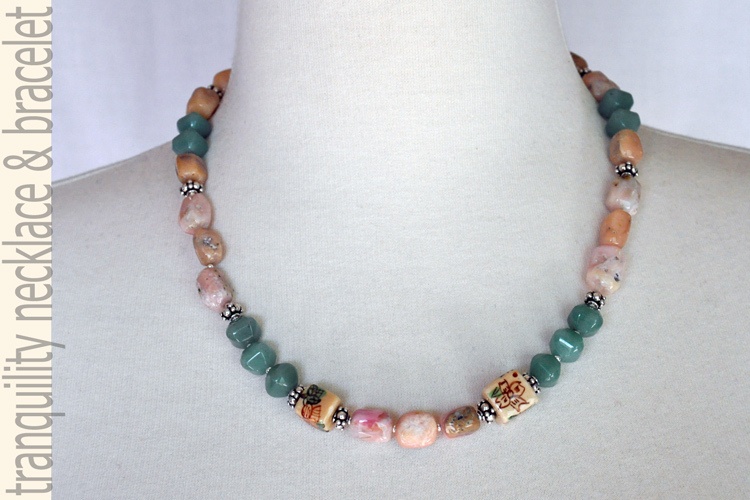 Green aventurine is a kind of microcrystalline quartz and has long been associated with prosperity and good fortune. Length: necklace - 20", bracelet - 7"
Care & cleaning: Beading cord may be kinked or broken through hard jerks or severed through prolonged exposure to rough or sharp edges; store necklace flat when not in use to prevent stretching or kinking thread. Clean with warm soapy water and avoid chemical or abrasive cleaners. Use a soft jewelry polishing cloth to clean tarnish appearing on silver. The beading cord and materials should be robust to tugs and pulls. Opals are softer stones than quartz, and care should be taken not to step on or otherwise put hard pressure on the stones, but they should be fine with everyday wear. As with all beaded jewelry: do not let young toddlers chew on it. 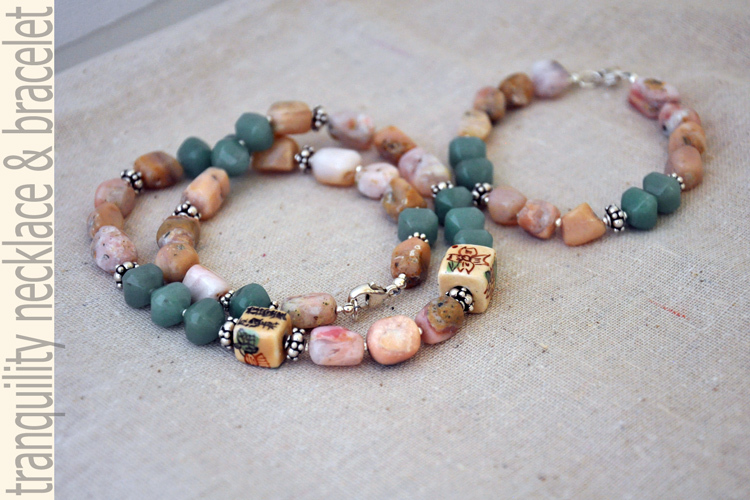 The necklace can be worn mid-length (20") or long (27") using the bracelet as an extension. 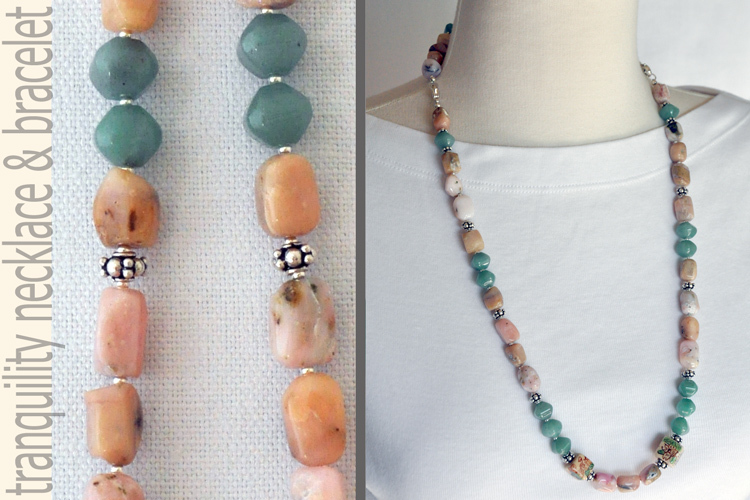 Larger beads means it can easily be worn with a cowl-neck sweater for a nice accent.